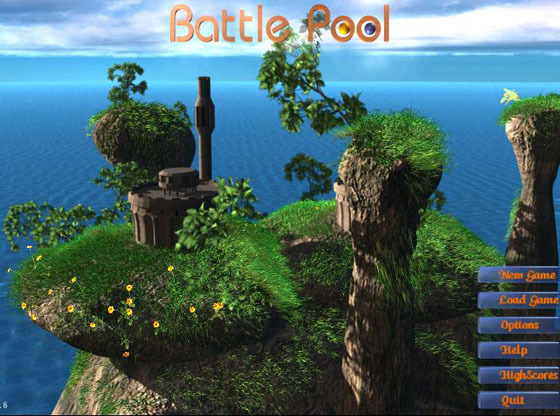 Battle Pool - Battle Pool is a 3D turn-based strategy game. Battle Pool is a 3D turn-based strategy game. It's very similar to a pool game set-up, but has a unique storyline attached. If you're a big pool fan (and I know there are lots of you out there) but want something a bit more interesting than plain vanilla pool, look no further than this! Battle Pool is an interesting game which involves you bouncing your balls all over the screen trying to destroy the enemy's balls.... Your balls can get special powerups and things which make them much more effective against enemy balls.